Breast cancer is the most common cancer in the UK. Breast cancer is not one single disease. There are several types of breast cancer. It can be diagnosed at different stages of development and can grow at different rates. This means that people can be given different treatments, depending on what will work best for them. Having breast cancer doesn’t necessarily mean that someone is going to die. Better treatments mean that more and more people are now living long and full lives after breast cancer. Whatever your age, size or shape, it’s important to take care of your breasts. Being breast aware is about caring for your body. It means getting to know how your breasts look and feel, so you know what is normal for you. Then if you notice a change, you will feel more confident about going to see your GP and getting the change checked out. There’s no right or wrong way to check your breasts. Try to get used to looking at and feeling your breasts regularly. You can do this in the bath or shower, when you use body lotion, or when you get dressed. There’s really no need to change your everyday routine. Just decide what you are comfortable with and what suits you best. Remember to check all parts of your breast, your armpits and up to your collarbone. It is important to remember that these changes are not usually accompanied with any other symptoms such as tiredness or loss of energy. If you notice a change, please see your GP straight away. Your GP may be able to reassure you after examining your breasts, or you may be asked to come back at a different time in your menstrual cycle to rule out a hormonal cause. Alternatively, you may be sent to a breast clinic for a more detailed examination. For more information visit Breast Cancer Care's website or call Breast Cancer Care’s free, confidential Helpline on 0808 800 6000. 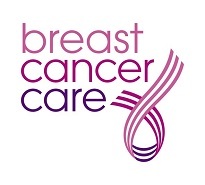 Information provided by Breast Cancer Care. June 2011.